April 5, 2019 - On March 27, European Parliament approved a new law banning single-use plastic items such as plates, cutlery, straws and cotton buds sticks. The agreement also strengthens the application of the 'polluter pays' principle, in particular for tobacco, by introducing extended responsibility for producers. This new regime will also apply to fishing gear, to ensure that manufacturers, and not fishermen, bear the costs of collecting nets lost at sea. Lead MEP Frédérique Ries (ALDE, BE) said: “This legislation will reduce the environmental damage bill by EUR 22 billion — the estimated cost of plastic pollution in Europe until 2030. According to the European Commission, more than 80% of marine litter is plastics. The products covered by this new law constitute 70% of all marine litter items. Due to its slow rate of decomposition, plastic accumulates in seas, oceans and on beaches in the EU and worldwide. Plastic residue is found in marine species — such as sea turtles, seals, whales and birds, but also in fish and shellfish, and therefore in the human food chain. The European Parliament is an important forum for political debate and decision-making at the EU level. The Members of the European Parliament are directly elected by voters in all Member States to represent people's interests with regard to EU law-making and to make sure other EU institutions are working democratically. 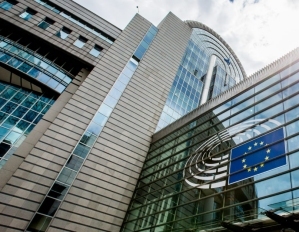 The European Parliament is made up of 751 Members elected in the 28 Member States of the enlarged European Union.